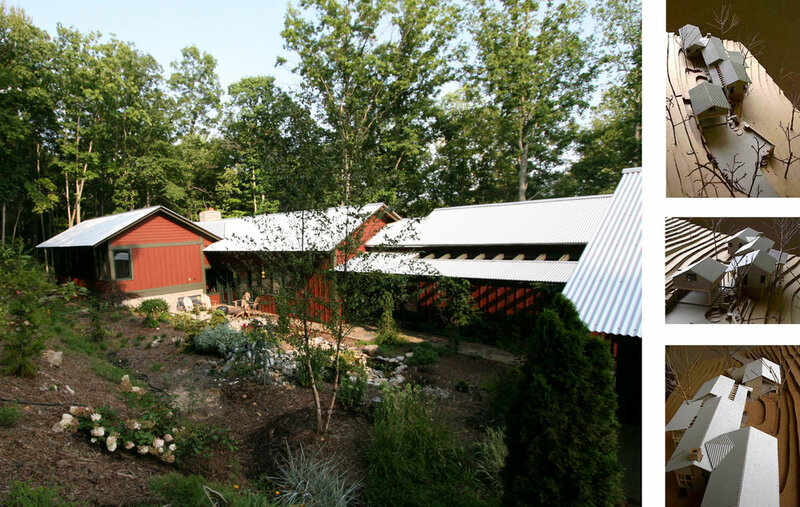 Hugging the hillside, this retirement home in Butler, TN is an assemblage of tin-roofed houses sited to follow the contours of the land. 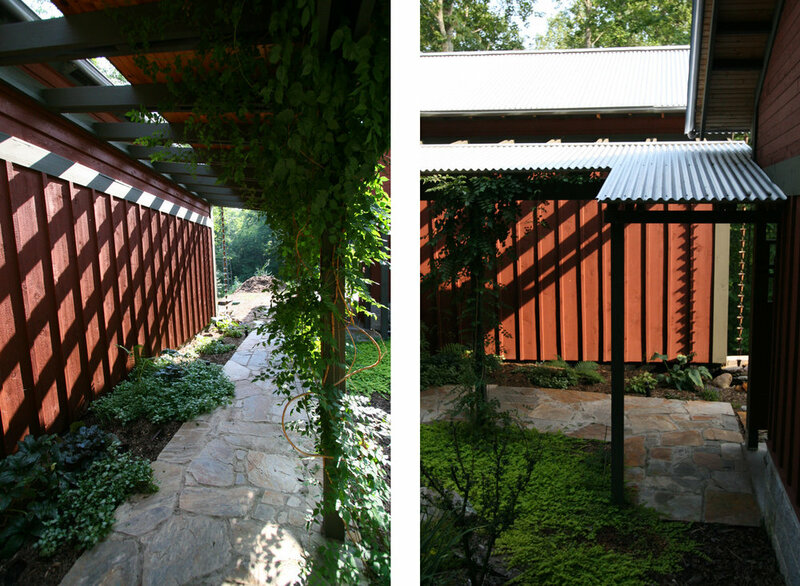 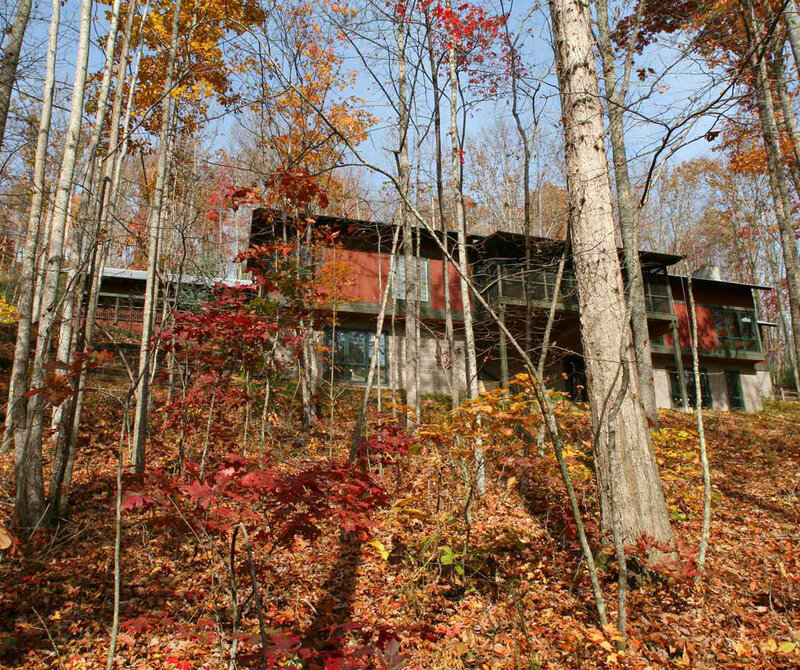 They gather around a protected courtyard nestled between the house and wooded mountain slope to the north. 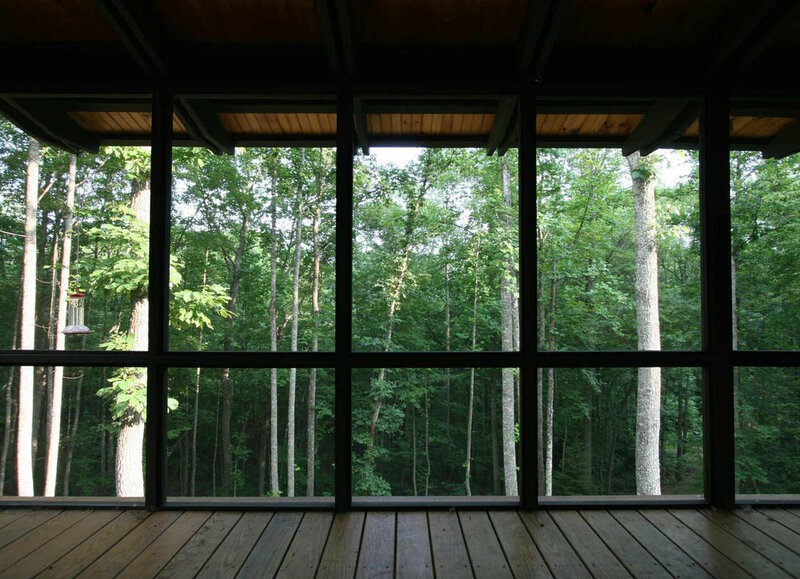 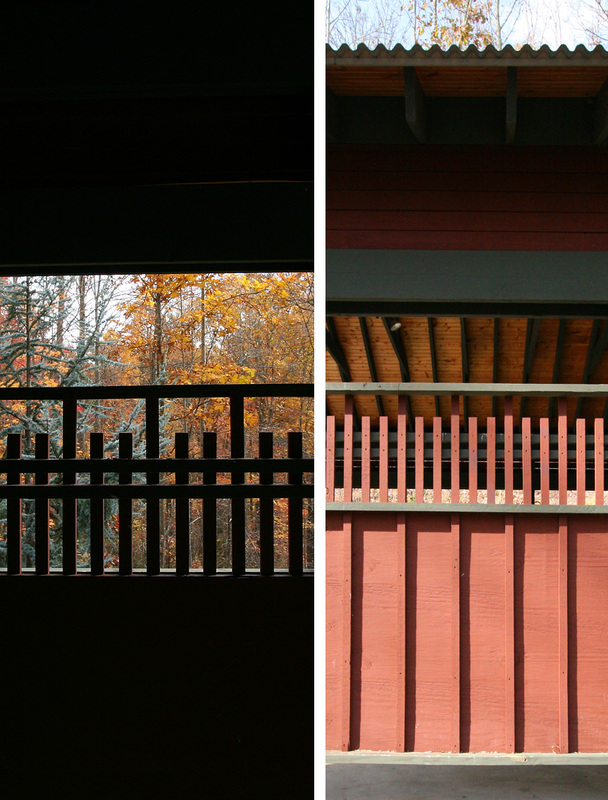 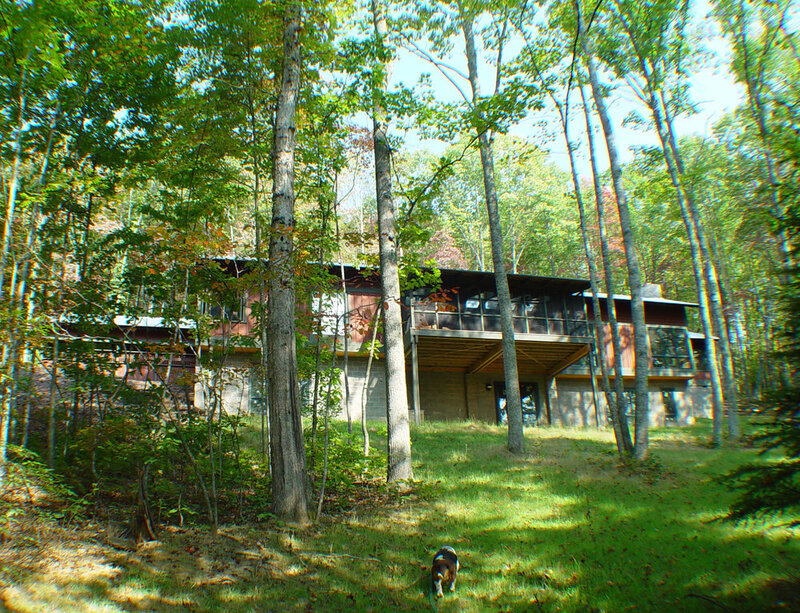 The south side opens up to distant views with generously glazed walls and a large porch projecting out into the trees. 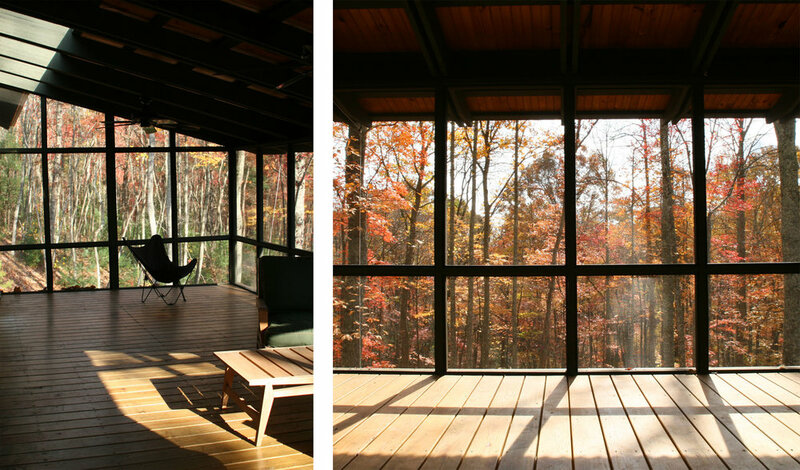 With to-the-floor glass, corner windows, and multiple openings to the outside, it has the feeling of a treehouse, with views that change dramatically with the seasons. 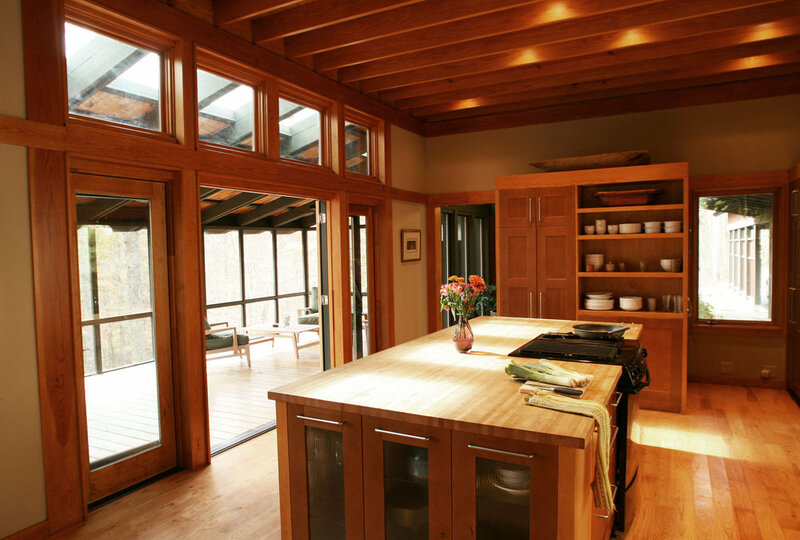 Living, dining and cooking are combined in one large, casual space, opening onto a courtyard patio on one side and screened porch on the other. 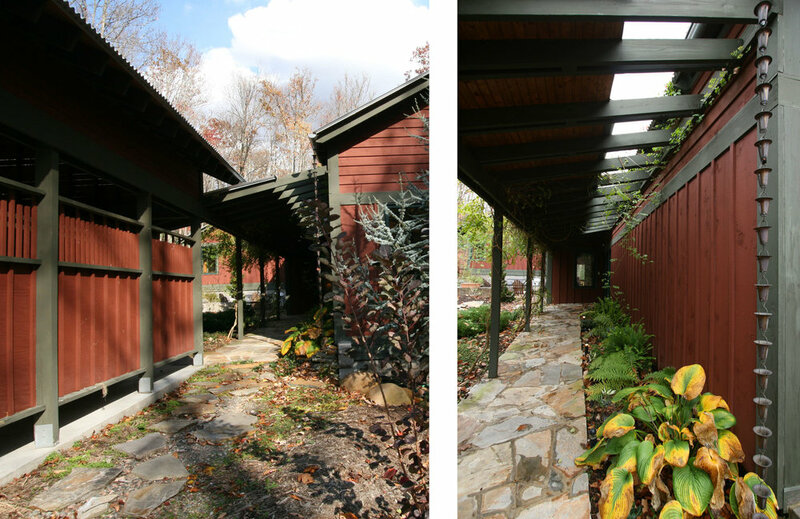 With its narrow width and openness to either side, the house itself is like a big porch. 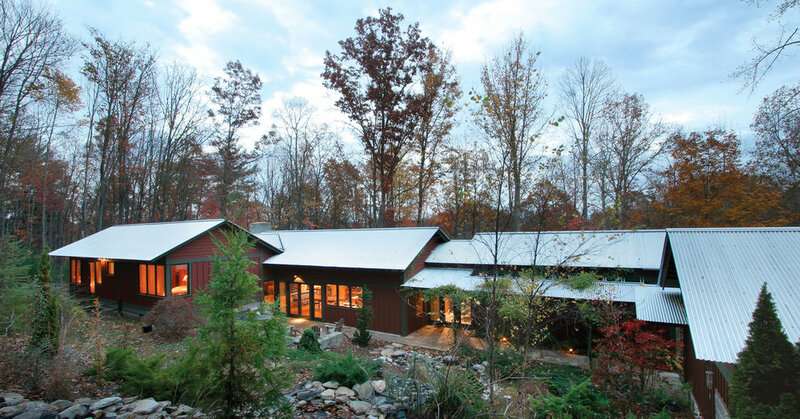 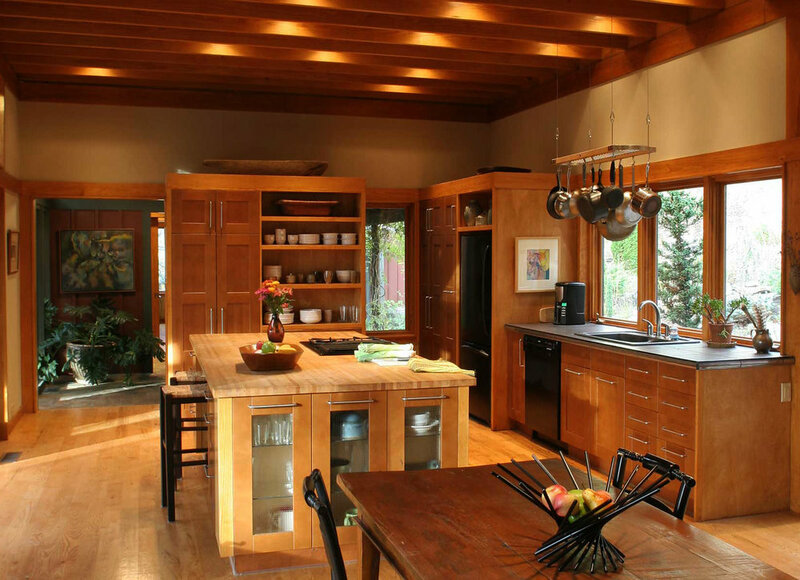 Light streams from one exterior wall to the other and cool mountain breezes easily pass through. 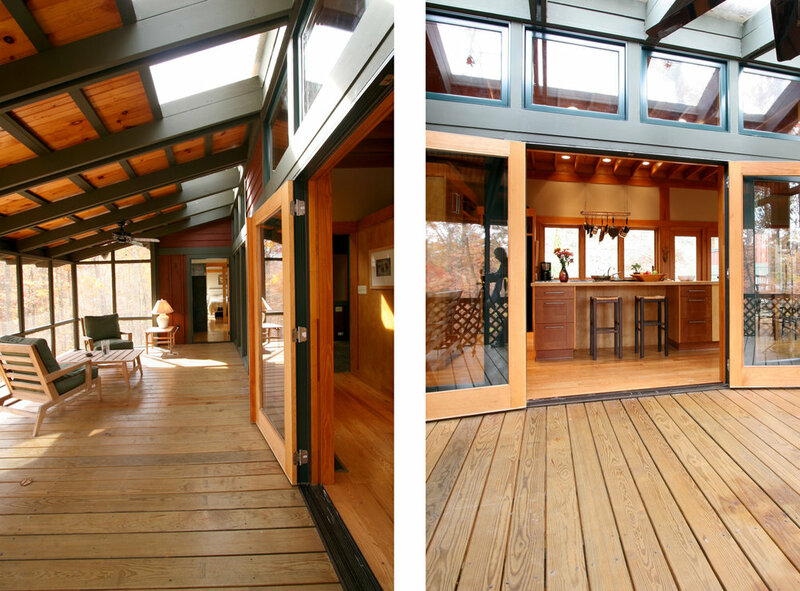 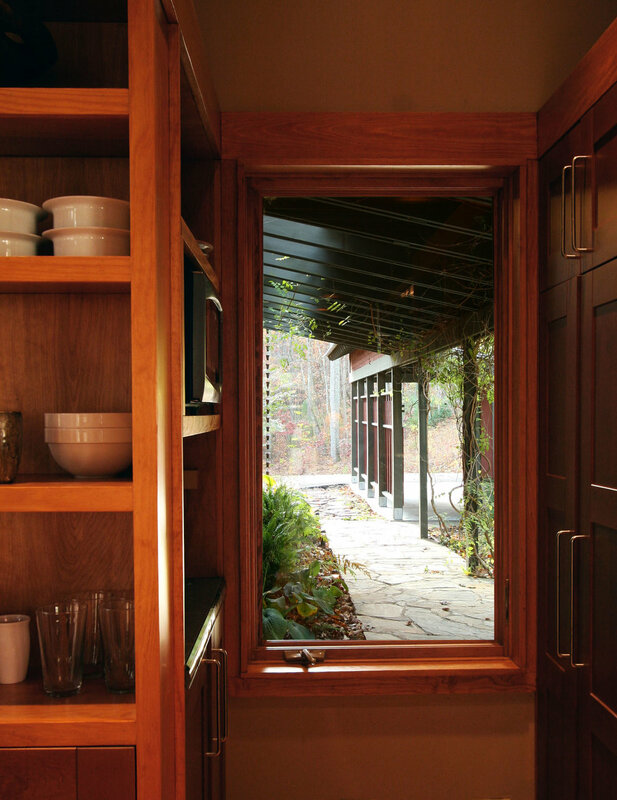 With double doors opposite, the kitchen spills directly out onto the screen porch, dramatically expanding the living space, offering a panoramic view of the surrounding woods, and intensifying the feeling of living in the treetops.